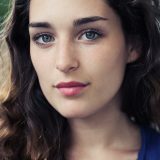 DAPHNE PATAKIA plays series regular ELEANOR – Princess of AUSTRIA in VERSAILLES, BBC’s period drama set in the court of Louis XIV. Versailles set during the construction of the Palace of Versailles during the reign of Louis XIV, that premiered on 16 November 2015 on Canal+ in France and on Super Channel in Canada, in May 2016 on BBC2 in Britain, and on 1 October 2016 on Ovation in the U.S.
Versailles, 1667. 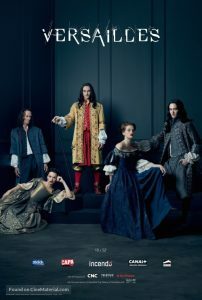 Haunted by the trauma of the Fronde, as the nobles of his court begin to rebel against the monarchy, 28-year-old King Louis XIV of France and Navarre (George Blagden), in a Machiavellian political move, decides to make the nobility submit by imposing a definitive move of the court from Paris to Versailles, his father’s former hunting lodge. Trapped by their king’s “invitation”, the nobles of Paris gradually come to see the castle as a gilded prison, and soon even the most humble courtiers of the king begin to show their viciousness as the alcoves of secrets, politics, and war are maneuvered through, revealing Versailles in all its glory and brutality.